I was interested in trying some skin care products with soy in them when I found the brand Fresh. It is a great beauty line that is based around using natural ingredients for all of their products. 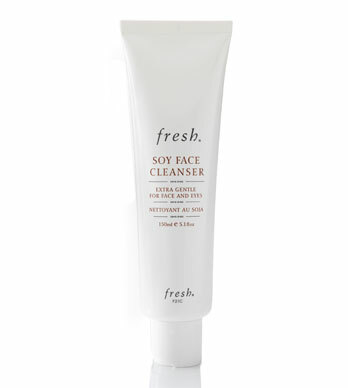 I have been using the Soy Face Cleanser ($15-$38 www.fresh.com) for the past couple months and can’t say enough great things about it! The best thing is that it is gentle on the skin and removes all of your makeup, including eye makeup without leaving them burning after. It does not have a strong scent and it is a gel so it goes on smooth. I have recently started using it more since the weather has been making my skin dry and this has really helped save it. It has nourishing amino acids and soy protein with calming and hydrating botanicals. You don’t feel like you are putting anything strong on your skin or that you are stripping it of any of its natural nutrients. I also like to use it with my Clarisonic, it is gentle and creates a nice lather. 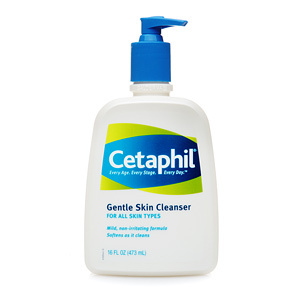 This is a great product for anyone with sensitive skin or if you are looking for a gentle cleanser. I also recommend this for anyone that is “green”, it is a natural product so it is great to add to your environmental friendly lifestyle. These items will get you back to the basics. 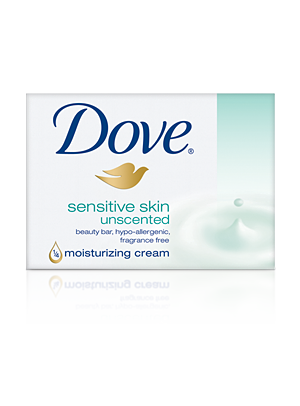 When you are shopping, make sure to look for words such as “gentle”, “hypoallergenic”, or “daily” these usually mean the product is for frequent use and won’t over dry or irritate your skin. Then you can start re-introducing or introducing new serums, treatments, or masks gradually so that you can still have fun with your beauty products! Trust me on this “less is more” when it comes to skin care, I had to learn the hard way. Favorite Product For The New Year!